A big congratulations to the winner of the Mama’s Felt Cafe Gift Certificate Giveaway – #13! The winner was chosen via Random.org after combining the total entries at Let’s Take the Metro and Natural Parents Network. 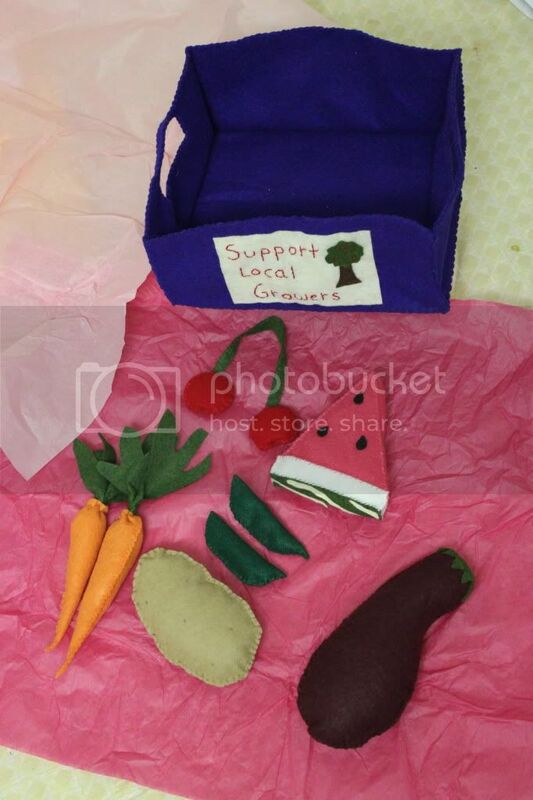 Brittany, owner of Mama’s Felt Cafe, hand crafts felt replicas of food as well as other fun goodies and sells them to all of us in her Etsy shop. She sews each order on demand which gives everything in her shop an extra personal touch. Felt food is a more economical and “green” way to stock your child’s play kitchen without the use of harmful plastics. If you were not the lucky winner but still want to stock up on felted fun, Brittany has offered our readers a generous coupon. Use coupon code “natural” at checkout in her Etsy shop for 20% off. Follow Mama’s Felt Cafe publicly through Google Friend Connect or subscribe to the Mama’s Felt Cafe RSS feed in a reader or by email. Like Mama’s Felt Cafe on Facebook. a free Support Local Growers set for review.